In 2004, a Florida man was convicted of aggravated battery with a firearm when he shot at the ground to intimidate someone and the bullet ricocheted into the victim’s ankle. 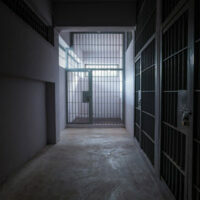 The man was recently let go on appeal, and then taken back to prison because of the mandatory minimum sentencing guidelines set by the 10-20-life law, statute 775.087. According to Fox News, midway into the sentence, the law was changed to give judges more discretion, the man was set free after spending 11 years of a 20 year sentence in prison, turned his life around, and was promptly put back in prison on grounds that even though the 10-20-life law had changed, it did not apply to people who had already been sentenced, and did not apply to all crimes. But what is the 10-20-life law? In the past, the 10-20-life law was much more rigid than it is now. It used to be a mandatory minimum of 10 years for displaying a gun during the commission of any felony, 20 years for firing the gun during a felony, even if it was a warning shot, and 25 years to life if another person was wounded by the gun. There were no exceptions available for judges to make. Since the law was created, over 15,000 people have been incarcerated under its mandatory minimum sentencing, according to the Miami Herald. However, the law was changed in 2016, and is now less harsh. A first degree felony will become a life felony, punishable by up to life in prison or the death penalty. Whether you have been charged with possession of a firearm during the commission of a felony, or firing a gun during the commission of a felony, your entire future is at stake. You need experienced legal counsel on your side at once. Contact the West Palm Beach criminal defense lawyers with the Skier Law Firm today.